It’s that time of year again when the kiddos are heading back to school. My son is in grade 12, so he’s pretty self-sufficient. Over the years, I’ve stepped back more and more, allowing him to share a bigger portion of the day-to-day responsibilities that come along with getting to and from school and everything else in between. Basically, if I keep the fridge and pantry stocked with healthy food, he’s good to go! Although we’re at the far end of the spectrum in our house, I realize that many of you have younger kids and school days can be complicated. While I was reading a few blogs and magazines this past week, I came across a variety of smart ideas that may work for you to get things running a little smoother at your house. Jen over at IHeart Organizing has gone over and above to make sure getting her three small kids off to school is undemanding. 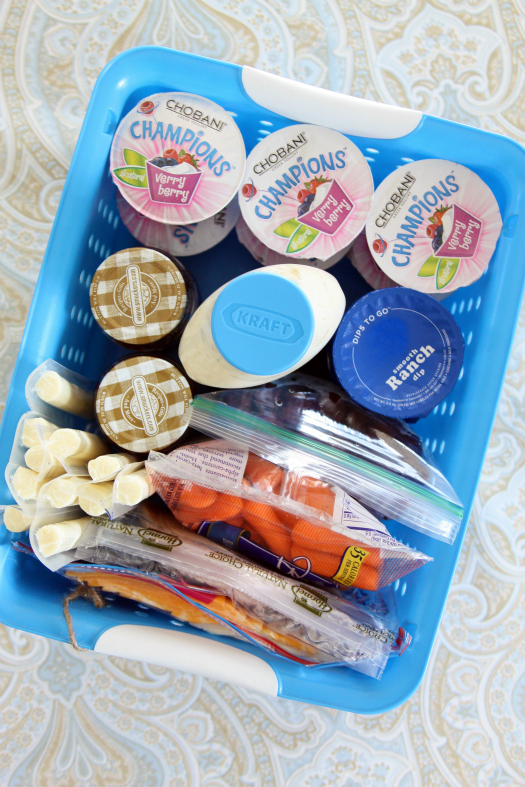 I love how clothes are planned out for the week on Sundays and lunch and snack baskets are kept in the fridge for easy grabbing. Very clever! Not sure what to do with the papers that come home from school? 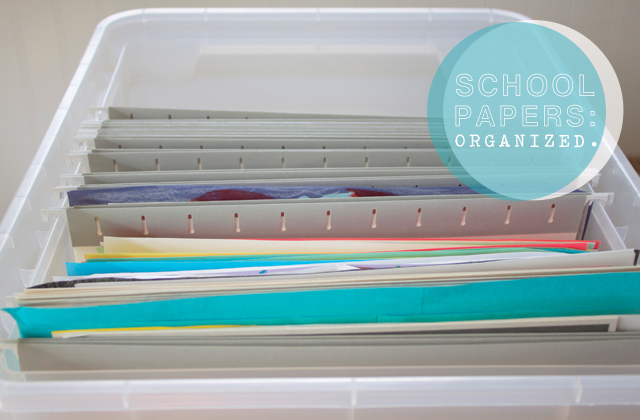 Danyelle from Dandee created a school papers + memorabilia system that is simple, yet effective at clearing up the clutter. 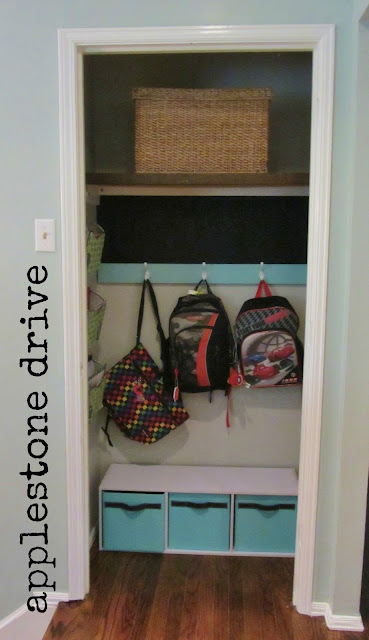 Sarah from Applestone Drive put together a budget-friendly kid’s backpack station. This designated zone helps keep all the school stuff in one place and is straightforward for the kids to use. Back in my son’s elementary school days, I put together a homework supplies box. It held all the supplies he could ever need to stay focused and get done quickly. Usually he had some sort of after-school activity he needed to get to, so the less distractions, the better. We still use a homework box, but the supplies are a little different now. Finally, don’t forget to label everything! 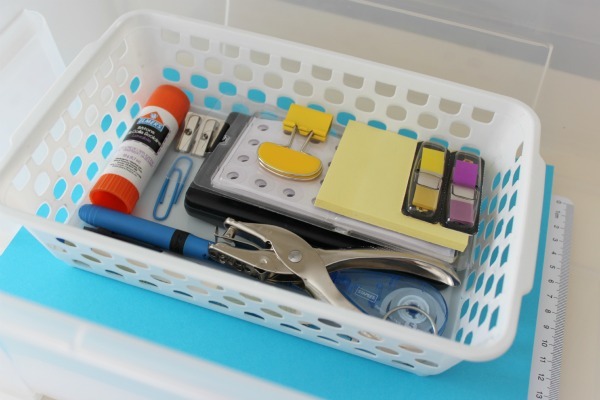 What have you found to help you be more organized on school days? Any tips or tricks for busy parents? « Feature: So Canadian, Eh? Great ideas, Shauna! 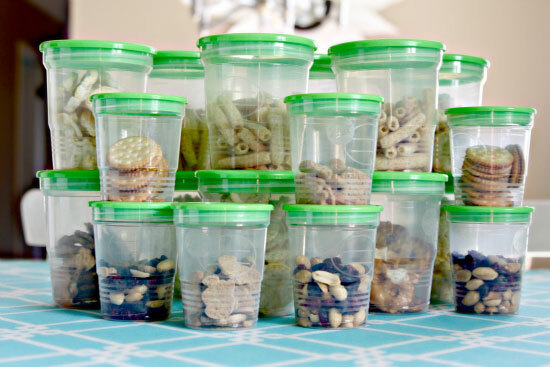 My kids are too young for school yet, but I definitely see the value in these organizing ideas. 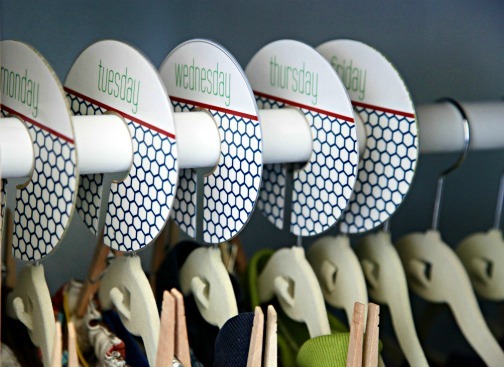 Mabel’s labels – What a fantastic idea to have labels that are dishwasher, microwave and laundry safe!